The partners are supported by an enthusiastic legal, accounting and administration team who pride themselves in delivering an excellent customer service, and who look forward to meeting and helping you. Paul joined the firm in 2013 as Senior Associate, having previously practiced in Crieff since qualifying as a solicitor in 2006, and became a Partner in January 2014. He is involved primarily in residential and commercial property transactions, as well as with estates, farms and renewables. Outside of work, when not with his young family, Paul enjoys being involved in the local Highland Perthshire community and is a director of Pitlochry Highland Games (a charity) as well as, on the firm's behalf, the Registrar of the Diocese of St. Andrews, Dunkeld and Dunblane. For relaxation, he can be found chasing a small white ball around the golf course or a small black one around the squash court. Paul provides weekly training to young squash players at the courts in Aberfeldy. One of our Partners since joining us in August 2014, after 14 years with an Edinburgh and Fife based legal practice. Alan has a wealth of management knowledge, having led a previous team to the title of Private Client Team of the Year at the Scottish Legal Awards in 2011. He has over 25 years’ experience in general practice, including Wills, Powers of Attorney, Trusts, Capital Tax planning and Property, and has a real passion for the law surrounding 'later life'. Alan is the Chair of the Abbeyfield Societies in Scotland and a Trustee of the Norah Webber Charitable Trust. Alan and his family are easily recognised when walking their two golden retrievers in and around Perthshire. His interests include sport, reading and film. Sarah joined the firm in 2010 as a Trainee Solicitor, and, since qualifying as a Solicitor, has since been an Associate and Senior Associate and is now a Partner of the firm. Dealing in a number of aspects of the Law, Sarah is also an integral part of our Charities Team and has built up a significant portfolio of charity clients and community organisations, providing advice and assistance to them on a wide range of topics, and also providing training to charity trustees on request. Sarah is herself a Trustee of three charities, Birnam Arts, Growbiz and The Pettigrew Charitable Trust. Sarah is very people orientated, thrives of helping others and believes in providing her clients with the highest level of service. The third generation of his family within the firm, senior partner since 1996 and the first solicitor in Scotland to be accredited as a specialist in Charity Law. Currently, Colin is Chair of Pitlochry Festival Theatre, and a Trustee of a number of other charities including Royal High School Preservation Trust and Dunard Fund. Colin is commentator at the Pitlochry Highland Games and is Patron of the Moulin & Pitlochry History Circle. He enjoys skiing, writing, lecturing and walking the hills. 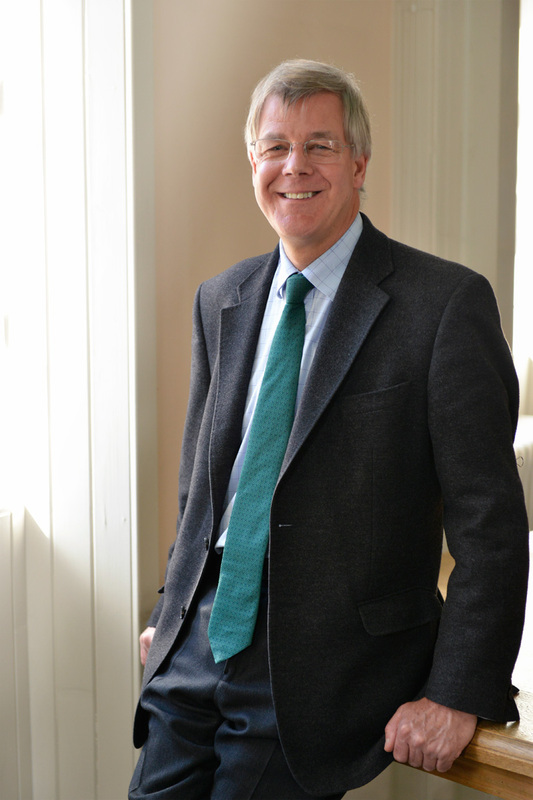 Author of ‘Pitlochry – A History’ (2008) and contributing author to ‘A Practical Guide to Charity Law in Scotland’ (2016).Colin retired as senior partner of the firm in March 2019 and stays on as a consultant. Katherine qualified as a solicitor in August 2017, having previously completed her traineeship with a large Edinburgh-based firm. She has recently moved to Dunkeld, with her husband Grant. She has had experience across a number of areas, including Agricultural Law, Family Law, Private Client, Banking and Finance, and Commercial Property. In a previous life, Katherine boxed internationally but now finds relaxation in the form of various outdoor pursuits, including running, cycling and hill walking. Katherine is also an avid baker and can be found regularly in various cafes/restaurants throughout Dunkeld sampling the local delicacies! Jenny joined the firm in 2015, having previously specialised in Business Law at a large international law firm. Jenny originally qualified as a Solicitor in England before also qualifying in Scotland. Jenny assists with a wide range of legal matters, particularly property transactions and business matters.She loves fishing and looking after her dogs. Tracy joined the team in June 2016 as Property Manager and has brought to the firm a unique set of client orientated skills from an interesting career, starting as a professional dancer and eventually finding her way into property after flying for Virgin Atlantic as a Flight Service Manager. Tracy is passionate about providing a high level of service and always has her clients best interests at heart. Tracy has successfully marketed and sold property in and around Highland Perthshire and has even travelled as far north as Lochinver to erect a "For Sale" Board this year. Outwith work Tracy is a Mum to her two boys, a member of several local choirs, secretary for both the Breadalbane and Strathtay Youth Football Club 09’s team and the 1st Perthshire (Pitlochry) Scouts Group, and when possible attends an adult ballet class! Jane joined the firm in 2014 as a member of our secretarial team and qualified as a conveyancing paralegal in early 2018, having completed a Distance Learning Course with Perth College UHI. Jane mainly assists Paul and Alan with property transactions. Out of work Jane enjoys playing golf and helping out at Pitlochry Festival Theatre. Jane is also the Treasurer of Moulin Villiage Hall Committee. Colin joined the firm in 2016, having worked in the banking industry for 28 years. Colin has completed The Society of Law Accountants in Scotland Investment and Executry Administration qualification and deals with day-to-day administrative matters in relation to winding-up estates on behalf the Executors, relieving the stress and worry at a difficult time. Colin’s interests include sport, especially football which he watches and still plays. Colin was born and raised in Pitlochry, and worked in Aberfeldy for many years whilst employed in banking.